When disaster strikes, few people consider themselves lucky to be in the storm’s path. After a tornado struck southwestern Pennsylvania’s Powdermill Nature Reserve on June 1, 2012, the environmental research center of the Carnegie Museum of Natural History found itself in just that position. 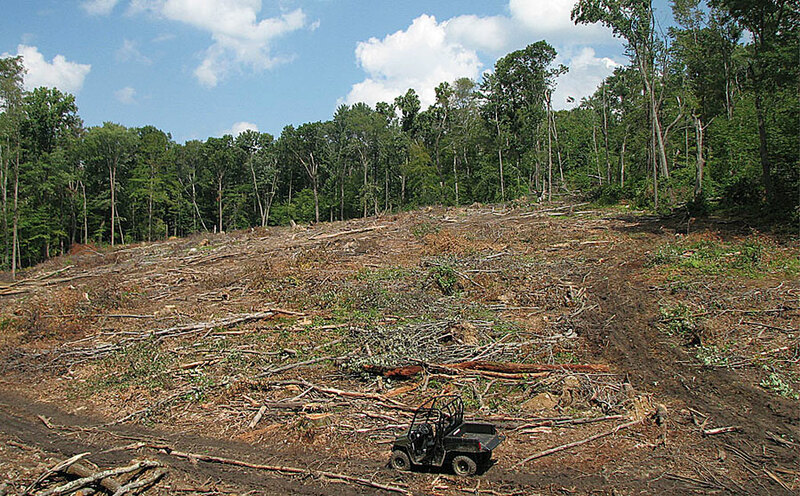 Following large storms that damage forests, land managers interested in balancing economic concerns with environmental stewardship must decide if, and how, to perform salvage logging. Recognizing this valuable research opportunity, Powdermill’s GIS lab sprang into action to map storm damage on the reserve. Once the extent of the damage was assessed, the research team decided to split four large (10–20 acre/4–8 hectare) damaged areas in half, randomly assigning half to be logged and half to be left as is to compare how these areas respond to management decisions. Two tools were used for tree identification and delineation. The first tool locates trees (tree points) by testing for the presence of points within different height classes. The second tool &auot;grows&auot; trees by labeling points closest to the tree point and iteratively searching within a narrow 3D search window for already labeled points. 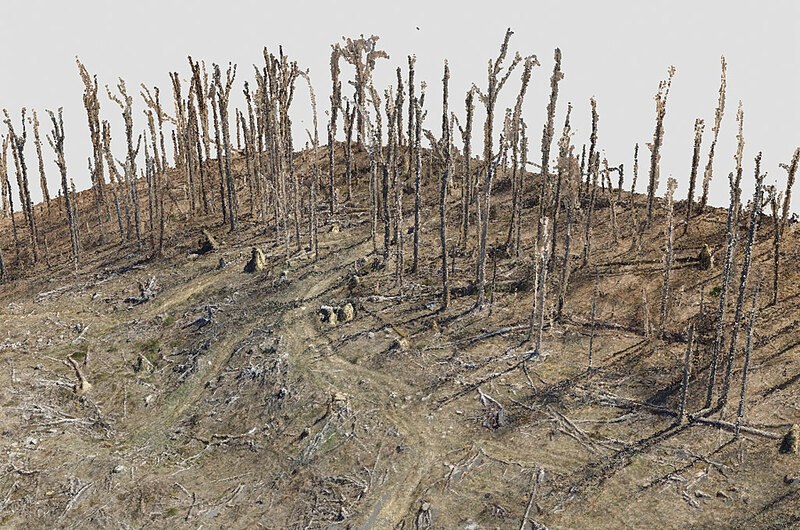 The team at Powdermill’s GIS lab used 3D data from August 2015 flights to highlight the stark differences across salvaged, unsalvaged, and unaffected forest. 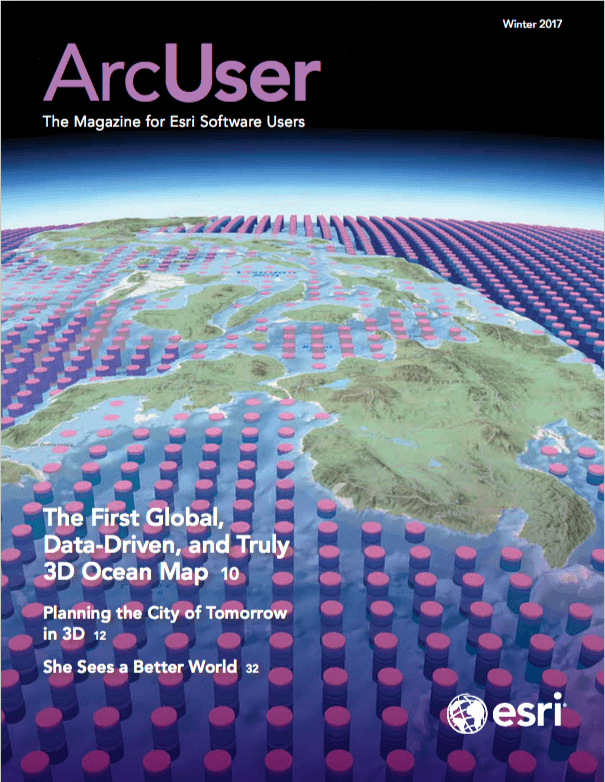 Despite the potential value in using UAVs, several challenges were associated with applying traditional workflows, such as those built around lidar data, to photogrammetrically derived 3D data. For example, photogrammetry requires at least two common points between images. Lidar requires only a single ray to measure a feature or surface elevation, making it a much better choice to ground model, even with canopy coverage. Many existing methods for delineating vertical features such as trees start by identifying a local maximum. This approach does not work well with deciduous trees that have large, sprawling canopies and several high points. Instead, the team identified each tree from the bottom up and took advantage of the tree’s vertical trunk. 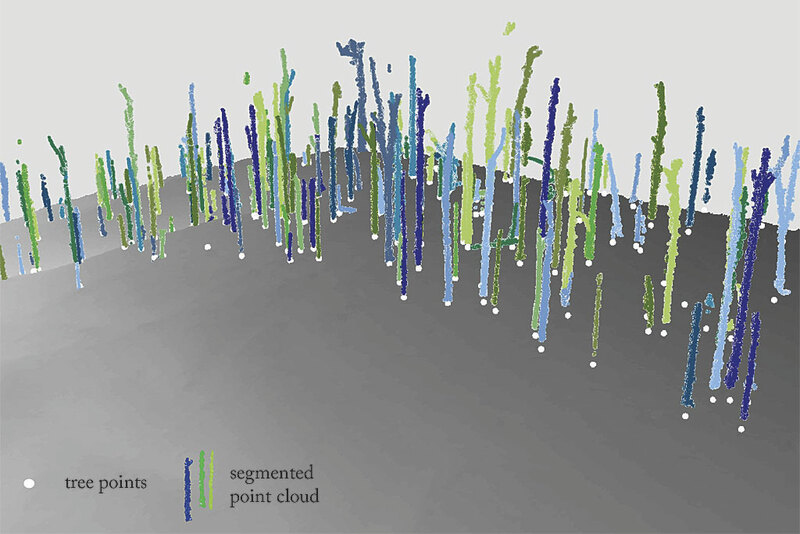 Since a tree trunk extends from the ground up to the canopy, unlike woody debris or other vegetation, the team sliced the point cloud into three height classes between 1 and 10 meters; rasterized each layer, assigning values of 1 for presence and 0 for absence to each cell; layered the three rasters; and used the Raster Calculator in the ArcGIS Spatial Analyst extension to summarize the cell values for all three layers. The result was a final raster in which all cells with a value of 3 represented tree locations and were converted to a tree point feature class. After setting the starting point for each tree based on the previously mapped tree points, the team tried searching for above ground points in a small 3D envelope to allow each tree to “grow” only if there were additional points nearby. Unfortunately, a nearly continuous mat of unclassified points near the ground meant that the iterative loop would not stop at the base of the tree, even with a small search window.